Given the dignified nature of the certificate, the honorary templates below have been kept extremely sober and elegant. 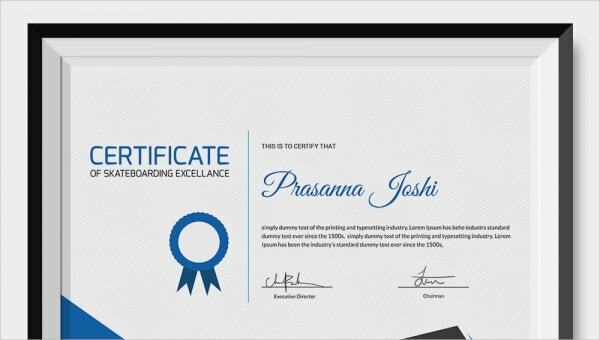 If you’re planning to design a similar certificate, you could use the templates below. You can also see Certificate Template. 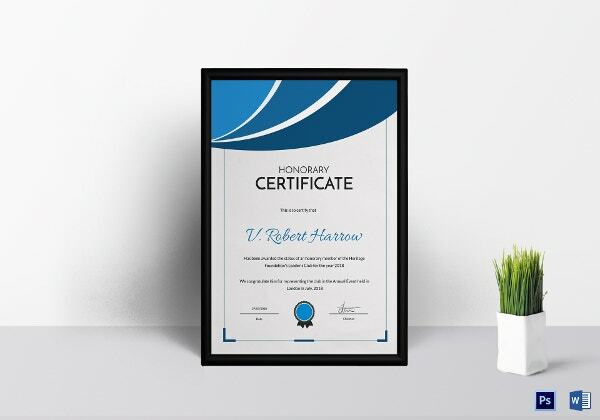 The best part about this honorary certificate template is that it mentions the name of the person being certified in clear bold terms. Also, the template is fully editable. This template comes in a standard size with allowance for bleed. That means you can modify the design and even adjust the size to a certain extent to go with your theme and design. 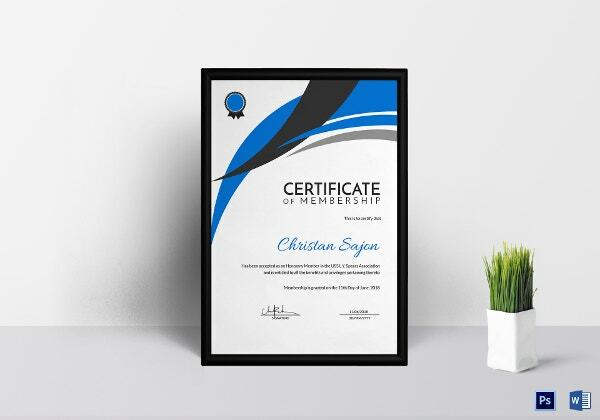 True to the nature of the certificate, this template has been kept dignified and sophisticated. It looks beautiful and elegant in terms of design and appearance. Plus, the template is 100 % editable and customizable as well. This certificate would be perfect if you were to bestow an honorary award on a participant at a particular event. The template comes with high-resolution images and also an adjustable colour scheme. Plus, it is easy to edit. 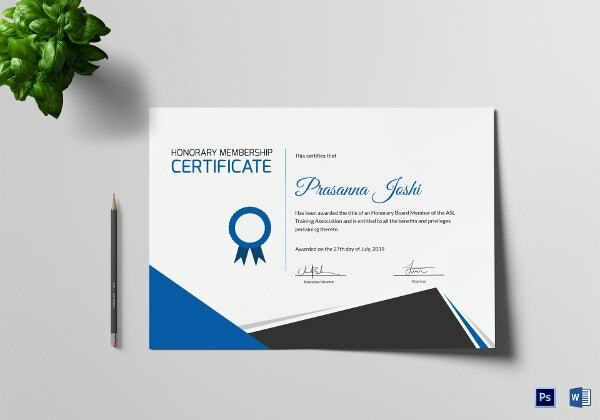 This honorary certificate template comes with a bright color and adjustable color scheme, editable textual and graphic elements, a standard size, a print ready format, easy customization tools and Word and PSD compatibility. > Why are Honorary Certificates Awarded? Usually, educational institutions take into account several criteria and requirements before they offer degrees. That includes matriculation amidst numerous other qualifications. However, when such an institution awards an honorary degree to someone, they waive the usual requirements. 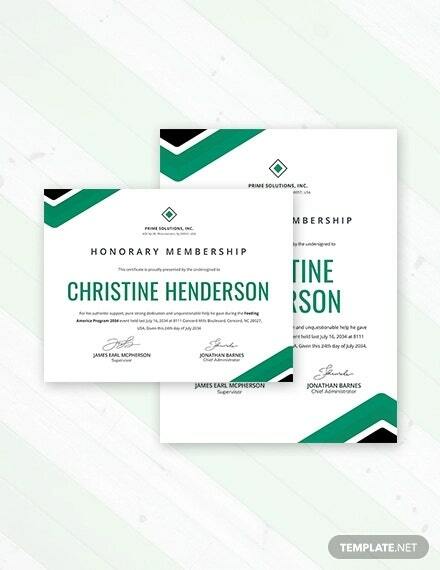 The same goes for other kinds of honorary certificates as well. For instance, a person who partook in a competition and didn’t procure a rank but has shown excellence certificate in his field may be awarded an honorary certificate. 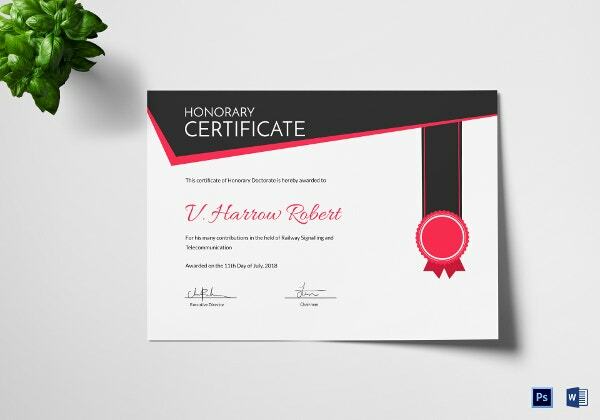 This is usually done in recognition of the tremendous achievement of a great person in a particular field; one must admit that receiving such a certificate is a matter of great honor and glory. 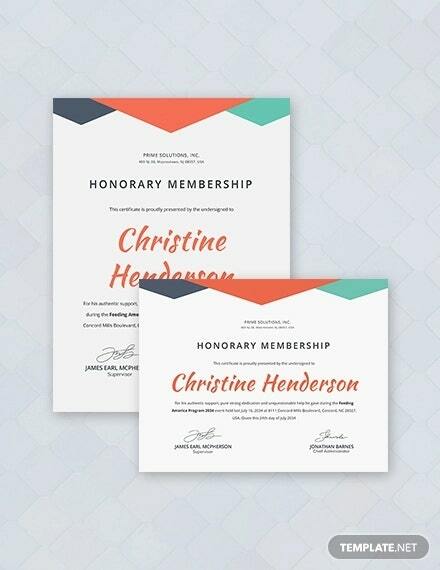 > Why should you use Honorary Certificate Templates? 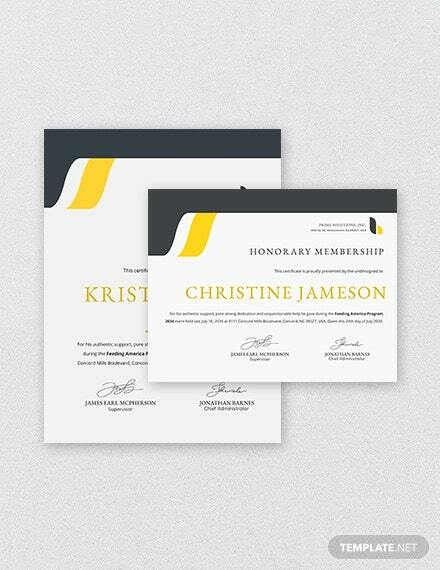 The certificates come in either a Word format or a PSD format. Both these formats are easy to use and edit. The templates are 100 % editable and customizable. You are free to experiment with them as you please. 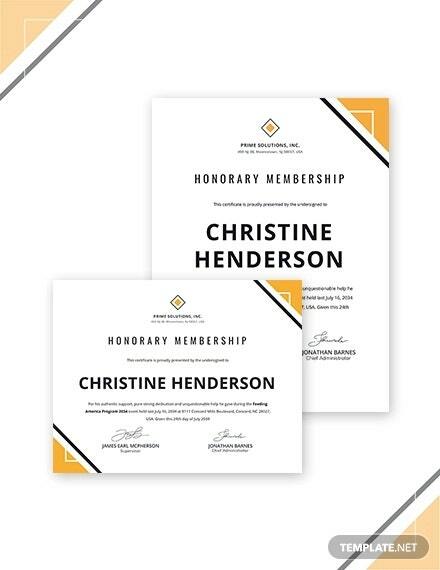 Honorary certificates follow a specific format. These templates maintain the official format of such a certificate and strictly follow the pattern that is universally accepted. Honorary certificates are extremely prestigious. Thus, close attention must be paid to the overall appearance and the detailing of such certificates. 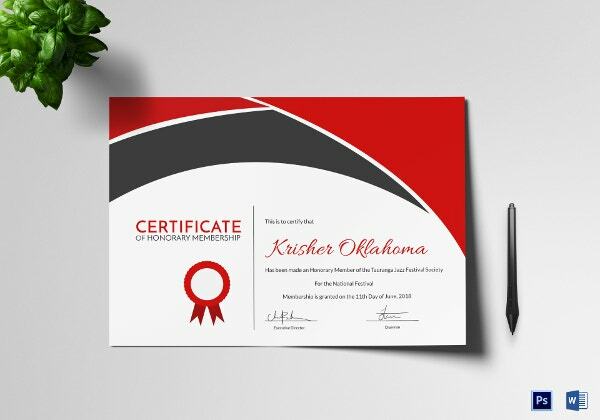 If you have been put in charge of designing such certificates, you need to take a look at these honorary certificate templates here. They are sure to mesmerize you.